In the digital age, many experience repetitive perfection in photography. Digital cameras have taken over and made photography easier. Artists, however, prefer the challenging and experimental. For photographer Bárbara Bezina, film photography is the medium in indulging creative cravings. An avid fan of multiple and long exposure technique, Bárbara manages to paint some otherworldly photographs that take us back to the Pictorialist era. Her strokes are soft yet intimidating, fleshing out an enigmatic look. We managed to talk to Bárbara on what she loves and enjoys in the analogue medium, and how she pushes the boundaries of creativity. Hi Bárbara, how are you currently doing as a photographer? Hi! Very well! Always enthusiastic and taking photos and developing and scanning and taking photos and more excited... It's like a virtuous circle. Making art always makes me feel enchanted. When did your interest in film photography begin? How about experimenting with unusual film photography techniques such as multiple exposures? What are your favorite analogue techniques? Several years ago I started using analogue and pinhole cameras but it was a year and a half ago that I decided to enter seriously into that world. Besides buying some cameras, films and photographic paper, I wanted to quickly learn to develop my negatives. I started with black and white and a little later with C-41. Everything, I do it in my bathroom. I like unusual and uncommon things and that's what I'm interested in seeing and doing. I must say that if something attracted me to analogue photography, it was the double or multiple exposure. I think what I like to do most is long exposure, which can be combined with multiple exposures. In pinhole photography, I do this combination. I've just started, I have a huge world to discover and experience! Let's talk about your photography style. They have a very pictorial or drawing aspect and we have learned that you are also an artist of the more classic definition. When creating the photographic image, do you follow the same standards with drawing or painting? I was born in love with art and knowing that I would do that. I started drawing, then painting, then digital art and photography (digital) and finally this, what we are talking about. About visual arts, painting is the most incredible thing for me, it's something that always touches me deeply. The color, the light, the texture... the paintings are like magic jewels. Those things I like to see in work and without wanting to, photography takes me there. I had never thought about it but yes, I follow the same standards: do what I feel in the moment, without thinking. I love doing art and from there I do. 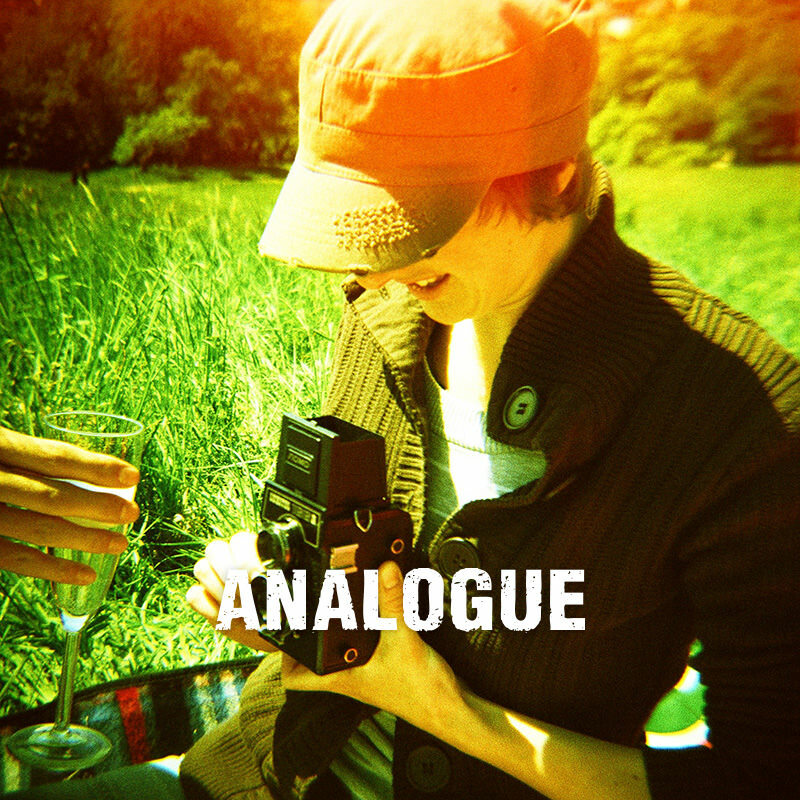 "If there is something incredibly beautiful about analogue photography. it's the mistakes and the uncertainty and that's where the most unexpected and artistic things are born." If you could work or collaborate with any photographer, artist or person, dead, alive or fictional, who would it be? With Luis Alberto Spinetta or an alien, which I think is the same. For you, what's the most important component to consider in a photograph? An image is something whole, if you start to see parts or analyze it according to components, it loses its charm. The most important thing is to do something genuine and that happens to be yourself. That is the most important component for everything. Any tip or two for the newbies out there for those who are interested in experimenting with analogue techniques? What's the best technique to start with? Don't be afraid. When I started taking pictures and wanted to develop them myself, I saw some videos on YouTube for the basics and I did it. I had no problem and negatives just perfect. It's very easy! I don't know why many people scare the newbies by making it look almost impossible to do. Describe to us – what's a day in the life of Barbara Bezina look like when you're not photographing? What do you usually do during your downtime? I live in a piece of land full of plants, trees, and animals with my husband. Since many years ago, we have distanced ourselves from the system and social life. We are dedicated to art, to the garden, to research, to study, to self-knowledge, to the spirit. We realized that our lives were our responsibility and that we can do whatever we want. The concept of work or free time ceased to exist for us. So I get up when I wake up and I go to bed when I'm sleepy. I paint, I draw, I take many photos, I take a walk with my cats, I read, I do kundalini yoga, I meditate, I spend several hours in the computer doing various things, among them social networks – that I could say that is the social life that I have – and other things. Always a lot of art and a lot of self-knowledge. Lastly, any on-going project, or other plans you're keen to work on? I'm painting a book. About analogue photography, I have been doing double exposures: self-portrait, paintings and with another camera, long exposures. Yesterday I developed them and today or tomorrow I will scan the negatives to see the results. My idea is to continue experimenting with double exposures and paintings. All this with expired films that I love. I found some expired in 2009 that have some magenta tones that amaze me. All images are courtesy of Bárbara Bezina. For more of Bárbara's works, visit her Instagram and portfolio. mrgamera, lyncdoby, mausmitkrawatte, charliedontsurf, gakurou, hannah_brown, barbarabezina, crismiranda, birgitbuchart, elmahiko, evansabahnurd & rdetoyato.